and the good counsels of a friend are sweet to the soul." Everyday Rosary Newsletter ™ is full of wonderful inspirations for praying the rosary, how the rosary has affected other lives and support for you when you really need an uplifting in your prayer life. Join a community dedicated to the rosary and promoting it's benefits in this modern day, hectic lifestyle. 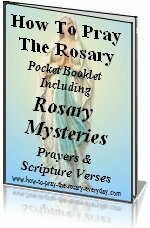 It tells you each month about the new information that is added, including some great input and comments about the rosary and new meditations on the rosary. Remember...being united with others and knowing that they share your devotion to the rosary, brings much peace to your soul. So, we'll be updating and growing this site with more and more rosary information, inspirations and meditations. spam isn't nice -- we won't share your email. additions to this awesome rosary source!" 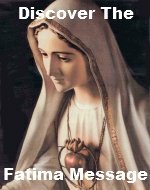 Please subscribe to the How To Pray The Rosary Everyday.com Mini-Blog. It differs from the newsletter in the fact that it is more of a feed that tells you when something has been added to the How To Pray The Rosary Everyday site. Whereas the newsletter is only issued every month or so. It keeps you up-to-date with other special postings and points out some of our current additions that you might otherwise miss.